Just a two hour drive north of Cairns, Australia lies the oldest tropical rainforest in the world, the Daintree Rainforest. This World Heritage-listed spot is known for its ancient ferns, lush surroundings, and popping colors. It’s so beautiful that it actually inspired the setting for the movie Avatar…enough said. 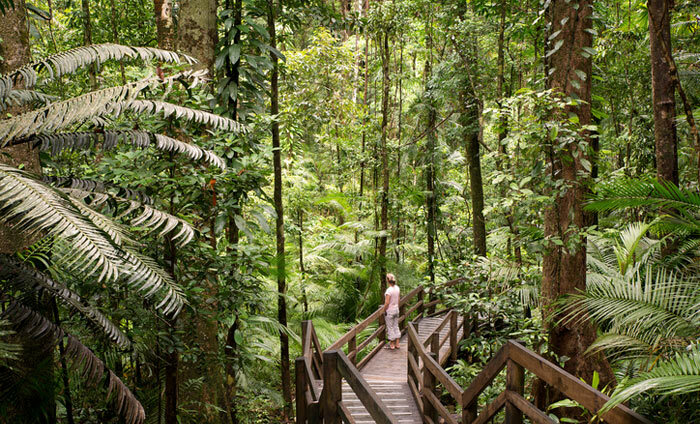 Before you head out to explore all that this region has to offer, stop by the Daintree Discovery Centre to learn all about the history of the forest and a guide to the number of walking trails in order to make the most of your experience here. 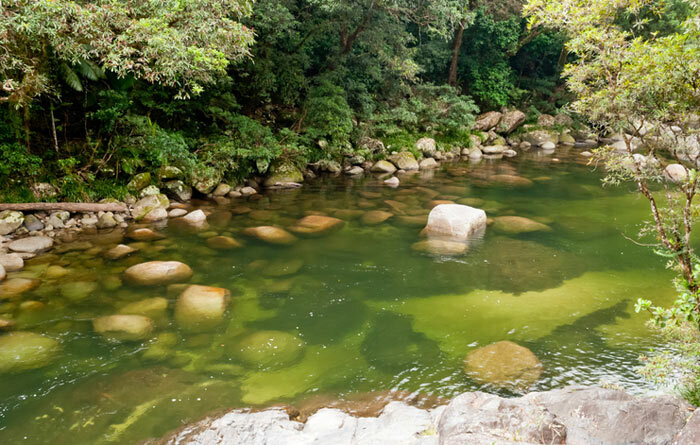 The Mossman Gorge is a magical place with clear waters that allow for freshwater swimming pools (without worrying about crocs lurking underneath). Go for a dip followed by a stroll along the boardwalk to take in the stunning views of the gorge. 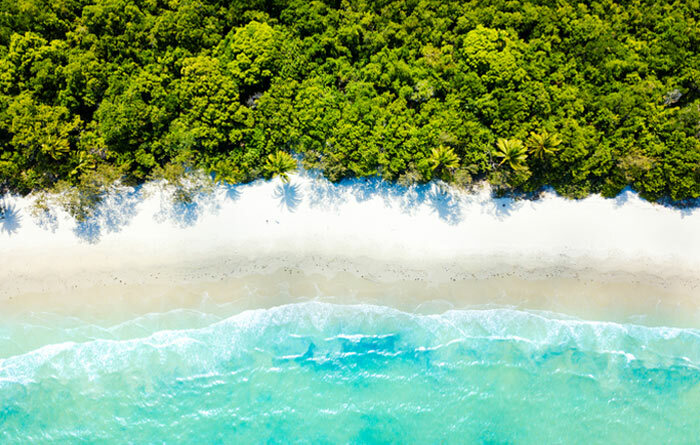 Cape Tribulation is probably one of the more popular spots in the Daintree Rainforest, and its easy to see why. It’s the only spot where the rainforest meets the Great Barrier Reef, where you will be met with gorgeous scenery and stunning beaches. You will feel like you’re stepping right into the movie Madagascar. 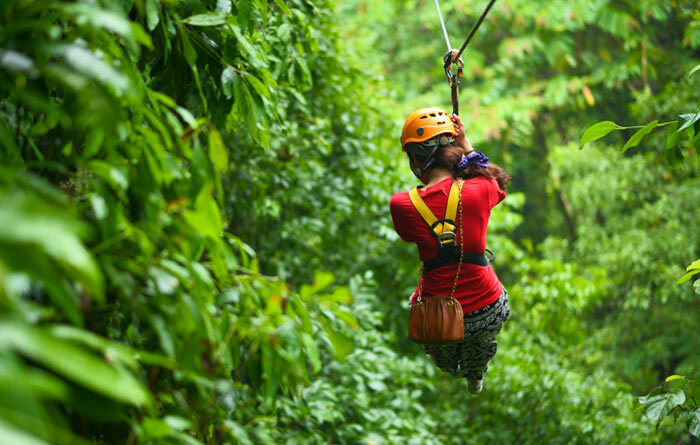 One of the best ways to experience the Daintree Rainforest is through zip-tour, where you’ll glide through the variety of flora and fauna via different levels of canopies. You’ll feel like an eagle flying through the air with a bird’s eye view of the rainforest, all the way to the coast of the Great Barrier Reef. 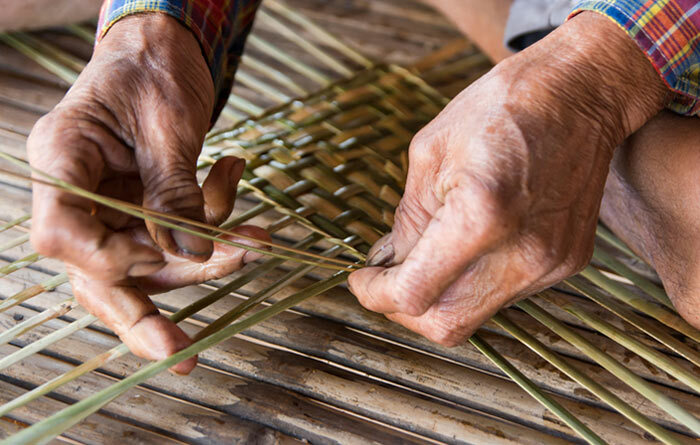 Daintree Village is a great place to pick up some local art including handmade pottery, textiles, and tropical clothing (who doesn’t love a good tropical shirt). You can even take an art lesson and take your work home as a souvenir!